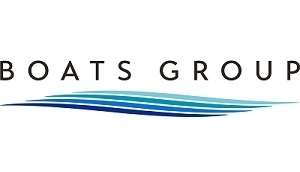 Boats Group shares one purpose: making it easy for people to buy and sell boats. We connect millions of people with the world’s largest selection of boats and sellers. We are committed to leveraging technology to deliver more value to our industry partners and investing in new innovations that bring the boating industry to the forefront of modern business. We are a global company with an entrepreneurial spirit, and we are passionate about creating a world-class shopping experience for more than 65 million boaters each year. We are the best at what we do, converting more shoppers to buyers than any other source – putting us one step closer to achieving our mission of getting the world on the water. As the leading provider of watercraft history reports, BoatHistoryReport.com helps our customers make better used watercraft purchase decisions by putting all available information at your fingertips. This type of information helps consumers guard themselves against buying a stolen boat or one with hidden damage which could negatively impact safety on the water. We started in 2005 as a small dot-com but through our partnerships and dedication to the marine industry and used boat business, we have grown to help customers all across the world. Our customers include used boat buyers, sellers, dealers/brokers, marine surveyors, law enforcement, and finance and insurance companies. We are the most trusted resource for boat history information and a great place to start (or finish!) when looking to purchase or sell a used boat.